Separation. Divorce. 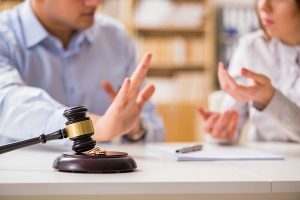 Child custody disputes. All of these experiences are life altering. A relationship that was supposed to last forever has just ended and the emotions are new. Regardless of the circumstances that got you here, there is some combination of grief, betrayal, regret, anger, and fear that fills your mind and heart. Further, you are now picking up the pieces of your life and trying to figure out what is going to happen next. And when children are involved, the anxiety and pressure skyrocket. While adjusting to these sudden and dramatic changes, it is important to keep an eye on your future. The legal process of separation, divorce, and child custody determinations are about looking toward your future and your children’s future. That is why it is important to separate your emotions from the legal process to achieve your best future. Here are five suggestions that we hope you consider. Take care of yourself. This is likely one of the most challenging experiences of your life. If you find yourself coping in unusual or unhealthy ways, seek help. There are support groups and therapists who can help you process your experience and feelings. Don’t give up because it is hard. It is easy to decide not to fight and to just agree to whatever your spouse offers. However, you risk seriously short-changing both yourself and your children if you do this. You are entitled to an equitable division of marital property, and may also be entitled to child support and alimony. This can make an enormous difference to your long-term financial stability as well as your ability to meet your children’s needs. Acting on your anger can be used against you in your divorce proceedings. If you stalk, threaten, or harass your spouse, this evidence can be used to seek a protective order against you, or to support contempt proceedings against you. If you inflict physical harm on anyone, you are subject to criminal charges and will also support severely limiting your access to the children. Think about how your children are feeling in making decisions for them. Just because you are personally angry with your spouse, does not mean that the children should be deprived of their other parent. Developing a parenting plan requires looking at your children’s best interest. Understand that unless your spouse if unfit, the courts will grant custody orders that give ample visitation and access to both parents. Take your lawyer’s advice. Separations and divorces take a long time. In fact, you must be separated for a year before you can file for divorce. The best thing you can do while waiting is to listen to your attorney throughout the process. Your lawyer wants you to succeed and will offer advice on reaching your long-term goals. New Direction Family Law has assisted people through separations, divorces, and custody disputes for more than twenty years. We are fully aware of the emotional toll that these experiences have on our clients and offer compassionate, supportive guidance toward a brighter future. Our office serves Wake, Johnston, Lee, Harnett, Cumberland, Nash, Granville, Franklin, and Durham counties. Call New Direction Family Law today at (919) 719-3470 to schedule a legal consultation or visit us at our website.